People often ask why we choose the gear we do. Why do we pick this bumper over that one? Why the more expensive product over the cheaper option? Despite what most people think it has nothing to do with having loads of money, because we don’t, or thinking we’re too cool for normal gear, because we aren’t. It all comes down this; we demand a lot from our equipment. While most people will camp a few times a year in one vehicle, we move our equipment from truck, to trailer, to new truck and back again every week. It gets strapped to roof racks, thrown in the mud, worn by weather, beaten by bumps, and in the case of this storage container, frozen shut in an ice storm and chiseled back open. Through all of this our equipment has to continue working without fail or compromise. For this reason and many others, the Alu-Box has earned our trust and approval. There are a lot of things to consider when choosing your storage box, and not everyone needs the same features. 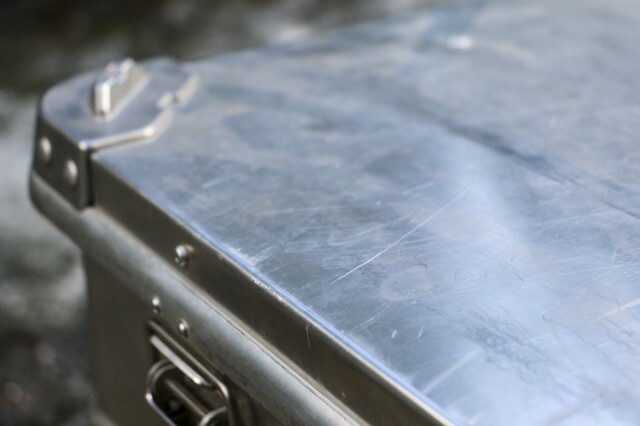 Size, capacity, weight, materials frequency of use and much more can play into the decision, so it’s important to look at all aspects when choosing your case. 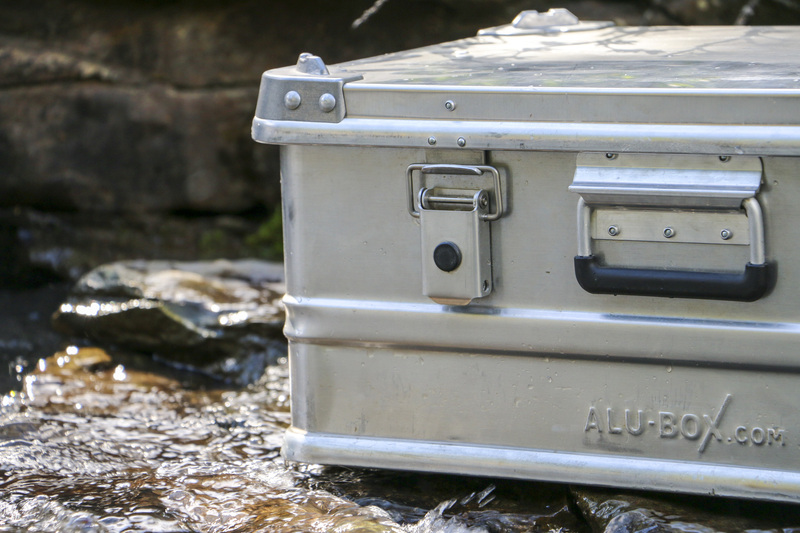 A great part of Alu-Box is their huge range of sizes. 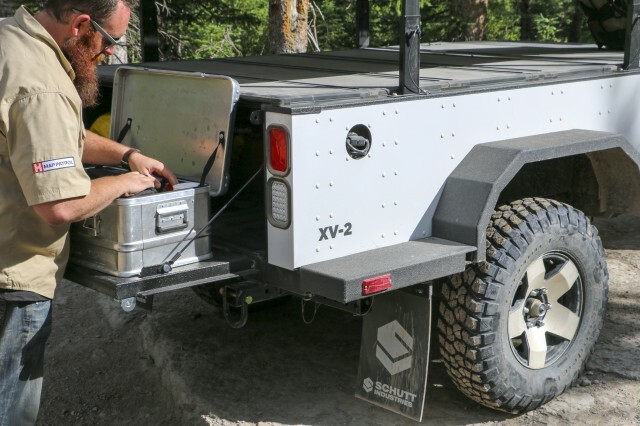 Because they are made with sheets of aluminum and riveted together, there’s a shape and size of box to fit any vehicle you want in nearly any position. We chose an all-around crowd favorite for our use, the ABA42. The 42 designation at the end represents the volume of the box which you guessed it, is 42 liters. 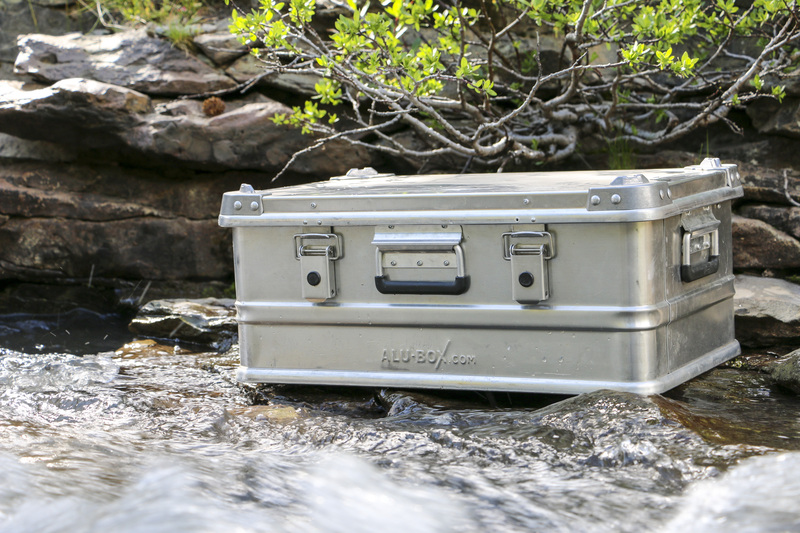 At just under 23″ long, 15″ wide, and 9.5″ tall, the ABA42 is impressively space efficient, and can fit plenty of gear inside. 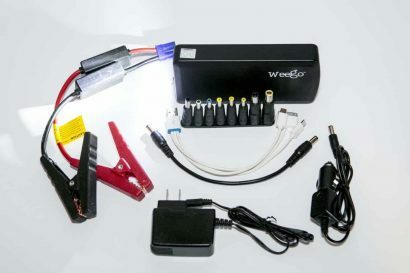 This is partially due to its aluminum walled construction which can be thin while still maintaining strength. I’ve seen a 42 liter box used for several things around our office including a kitchen box for four people, a complete camping kit including tent, stove, sleeping bag etc, and even a bumper mounted storage box for a hot water heater and shower system. To say versatility abounds would be an understatement. The construction and overall fit and finish is wonderful, and like anything, the little details make the difference. 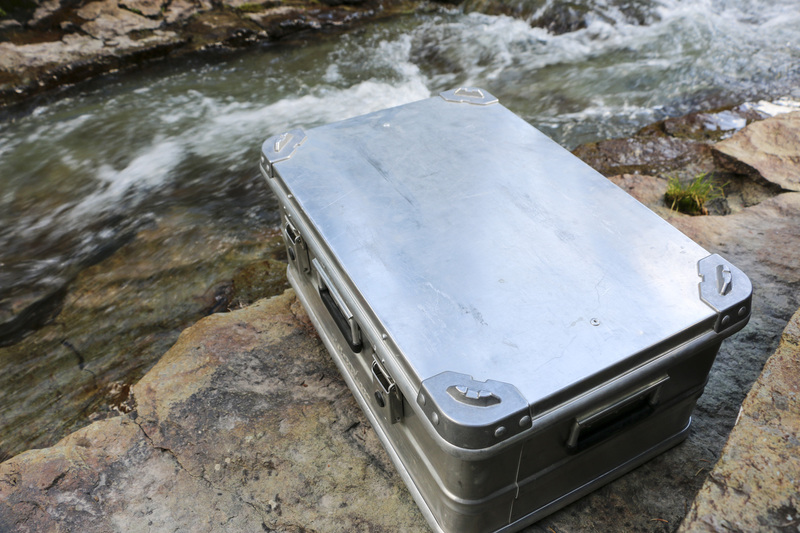 High quality aluminum sheets and castings are used to construct the case with solid rivets pulling it together. The seams are over locked to maintain strength and then internally sealed with silicone to prevent dust and water incursion. To finish off the weather proofing, they are then fit with a rubber gasket all the way around the lid. Of all the times our cases have been soaked, dusted, dropped, frozen, and beaten, we’ve yet to have the slightest debris make its way inside. The hardware is of equal quality and feels sturdy after more than a year of constant use. Our model has three spring loaded insulated handles which make lugging it around and tying it down easy, even when full of heavy gear. It’s an often overlooked feature, but that third handle on the front makes a big difference in every day use. You can now set the case on its back and pick it up again without fumbling for a side handle, you can carry it with one hand like a briefcase instead of with two hands in front of you, and in general it makes the box easier to handle. The lid clasp mechanisms are nice as expected, but what makes them great are the drilled holes for locks. It takes your ordinary storage bin and turns it into a secure case for whatever you need in your vehicle. 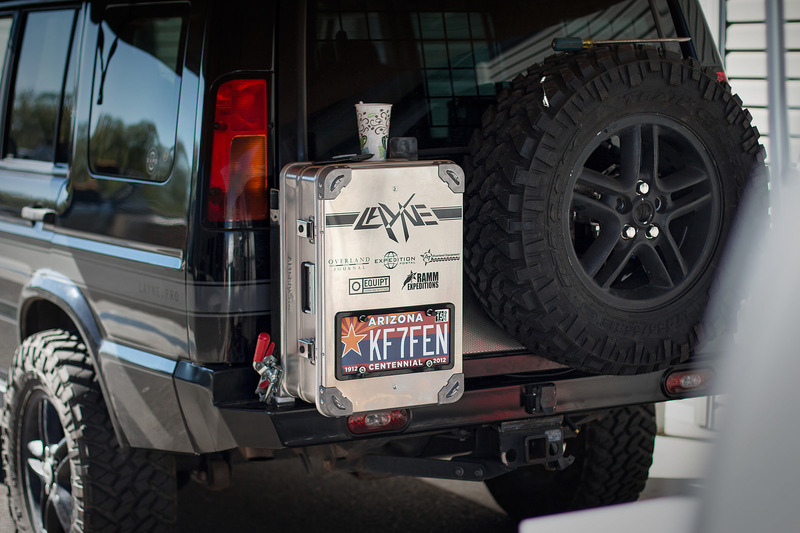 It’s also allows you to hard mount the box to your roof rack without worry of people stealing whats inside. 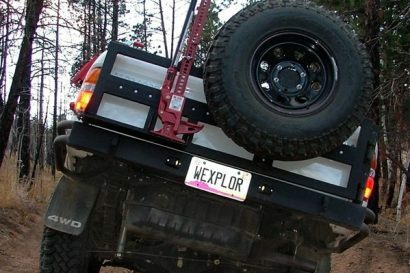 Additionally, because its aluminum you don’t have to pay the price of weight for extra strength. At 9.9 lbs it can support 220 lbs of load, that’s a twenty two to one ratio! This would come in handy with the Alu-Boxes simple but tough stacking system pictured above. 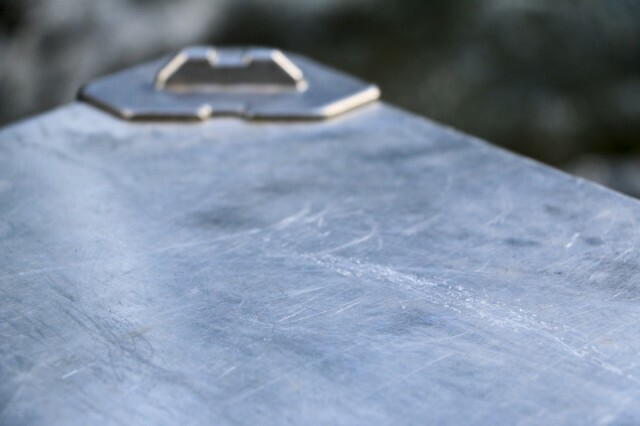 The solid aluminum corners on top nest perfectly into the base of matching sized boxes and prevent them from sliding. This makes stacking two or three cases easy and safe with proper tie downs. Over the past year we have run this box on a roof rack in ice storms, left it in the scorching desert sun, strapped it to the front of a teardrop trailer in the dust, and let it bounce around the back of a trailer. Through everything it has not only continued to function, but still looks great as well. The only sign that it has been through the torture testing conducted are the scratches on the finish like the photos shown above. 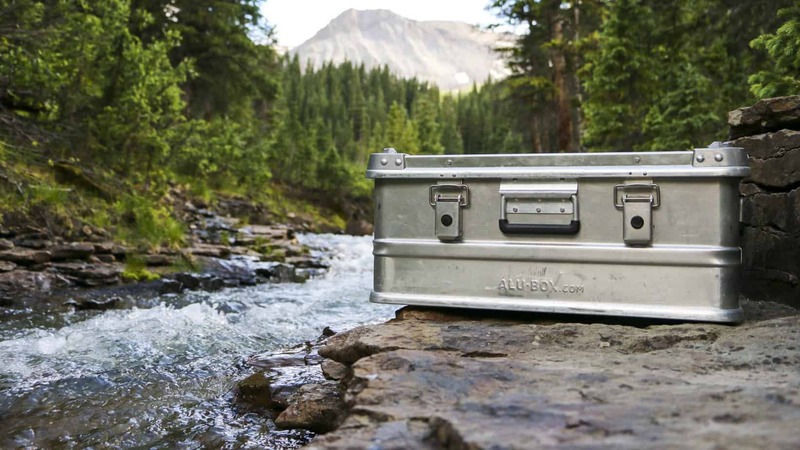 So what is our overall opinion of the Alu-Box? 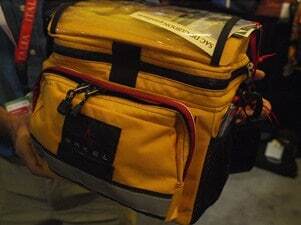 It’s a fantastic option for people who appreciate quality gear and need a product that lasts. It looks great and will not only get the job done but continue to do so under any conditions you throw at it. We won’t lie and tell you they’re cheap, because they aren’t. In fact they’re slightly more expensive than their nearest competitor, though we do find them better looking. As we mentioned before, these cases aren’t for everyone. They don’t make sense for someone who camps once a year, or for someone who wants a cheap box that will last a season or two, but they’re perfect for the avid overlander, and we will be using ours for years to come.